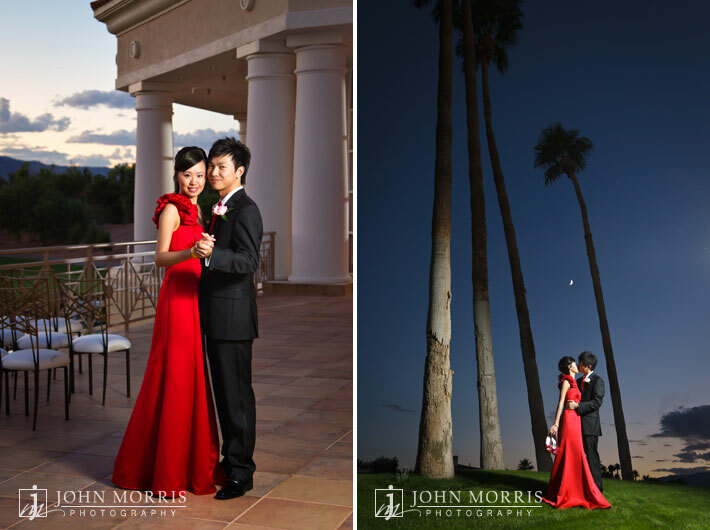 You may recall the photos from Yan and Cheng’s Las Vegas engagement session several posts ago. Having just shot their engagement photos a few short weeks before the wedding, it felt natural documenting their special day. It was great getting to know them before the wedding and it helped to put them both at ease on the big day. They had a lovely ceremony and reception at Canyon Gate Country Club, incorporating their Chinese heritage to make the wedding unique. 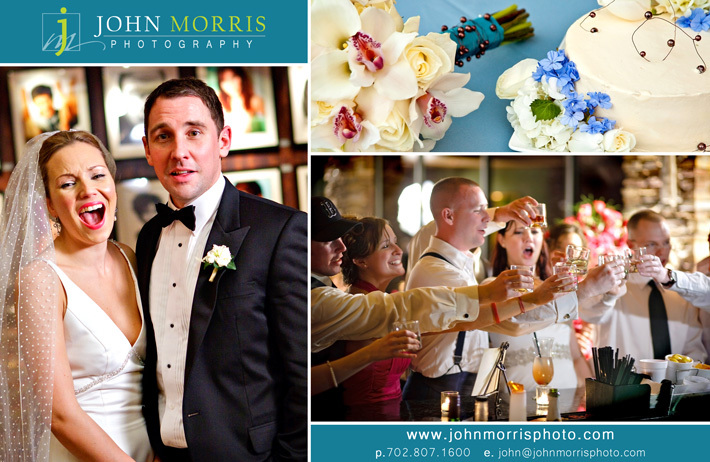 As a wedding photographer in Las Vegas, I feel honored to be a part of many culturally diverse celebrations. 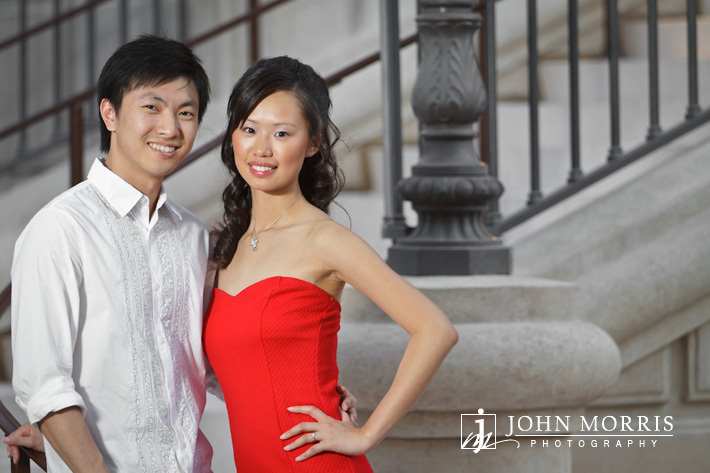 The distinctive red and pink color scheme is traditional for Chinese weddings and makes for vibrant photographs. It was wonderful that they trusted me to be creative. Not only were we able to capture all the memories they hoped for, but we also made a few stunning art pieces that captured the beauty of their special day. In order to create these artistic images, the bride and groom planned some extra time just after the reception began to step away and make these beautiful photographs. 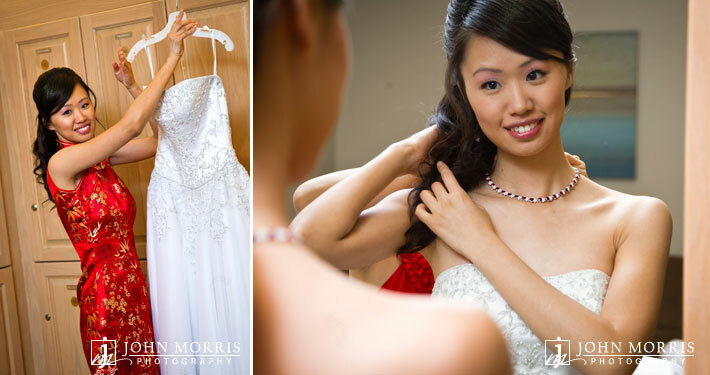 Yan had three dresses and changed into a stunning red gown for the reception. 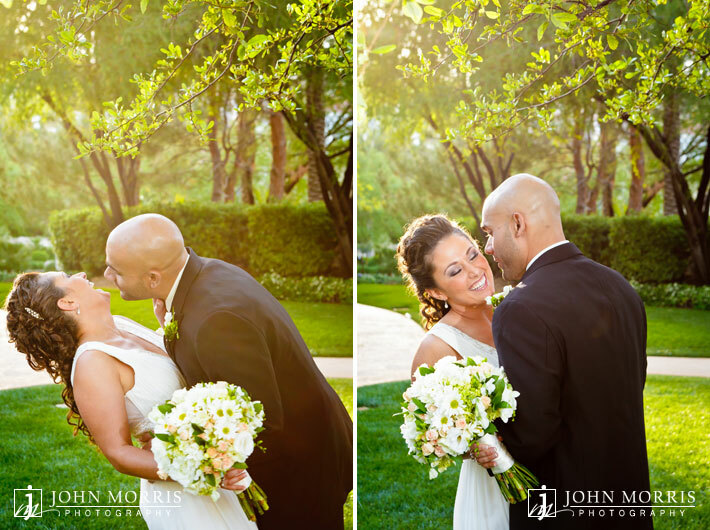 The bright color combined with a beautiful setting and professional lighting truly makes these photographs pop. 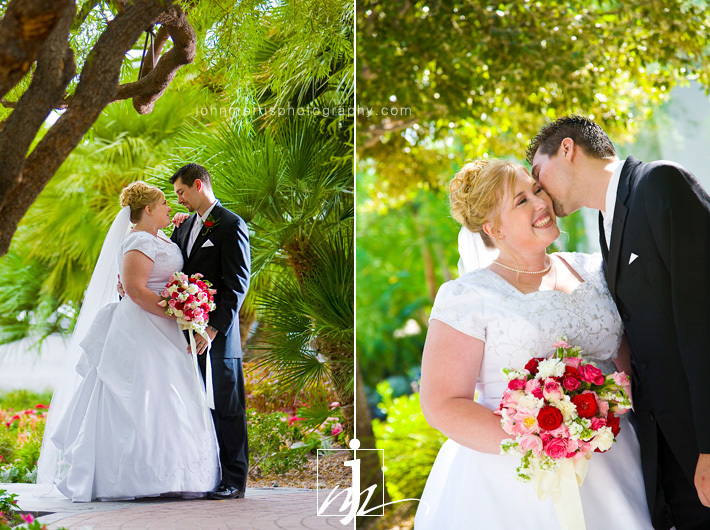 Valerie and Gerard were married this spring at the beautiful JW Marriott Resort in Summerlin, a Las Vegas suburb. Although only 20 minutes away from the hustle and bustle of the Las Vegas Strip, the resort feels like a tropical paradise perfectly suited for a destination wedding. The ceremony couldn’t have been more perfect. It was a warm, sunny day and the bride and groom both looked absolutely stunning as they exchanged vows surrounded by friends and loved ones. They also added their own unique touches like a love letter and wine box ceremony. Except instead of wine, they chose something a little more edgy. Here’s a hint: it was Jack Daniel’s. The ceremony was followed by a cocktail hour and reception. 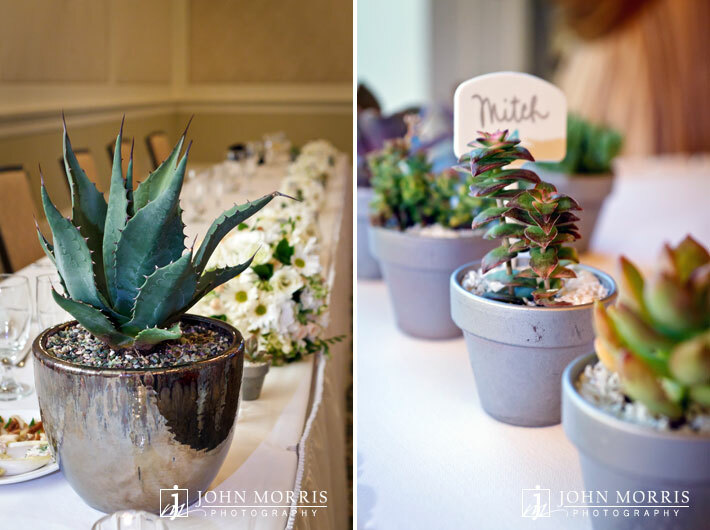 We love that they went green with their wedding favors by giving out miniature potted succulent plants for their guests. They also created their own centerpieces which was another nice personal touch. The best part was that everyone had fun. Vegas City DJ’s kept the party going and a delicious three-tiered wedding cake was provided by Freed’s Bakery. The gorgeous bouquets and boutonnieres were created by Floral 2000. Thanks to Denise Collins from JW Marriott for keeping everything running smoothly. Finally, a big thank you to Valerie and Gerard for sharing their day with me! 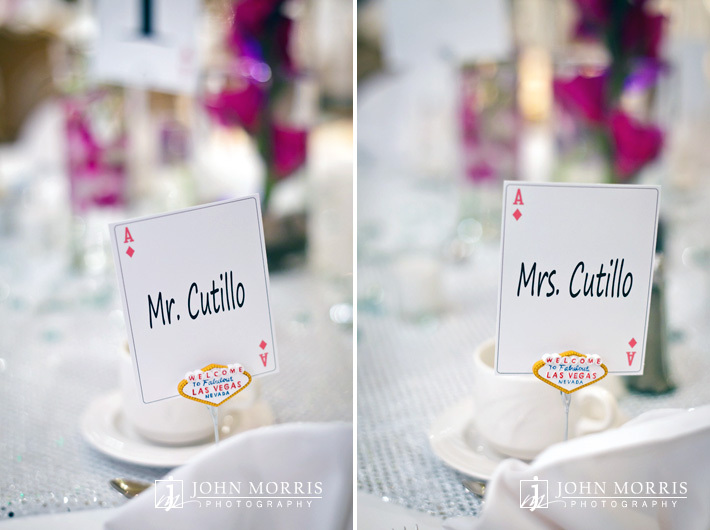 Congratulations to Nicole and Dave, who are getting married today at the beautiful Siena Golf Club in Las Vegas. We photographed their engagement session several months back and had a such a great time that we couldn’t wait to work with them again. The engagement photos turned out amazing and we’re sure the wedding will be equally remarkable. Dave is an incredibly talented musician so we decided to have some fun during the engagement shoot by incorporating a few shots with his guitar. Be sure to head over to his website Dave Ritz Music and check out some of his work! 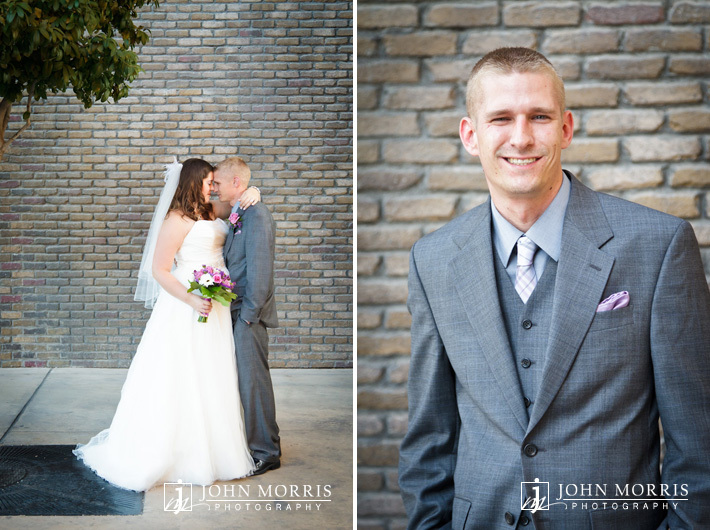 We are excited to share with you the photo slide show of Angie and Rob’s wedding at Aliante Station. We loved working with these two on their engagement session and wedding in Las Vegas – I’m honored they chose us as their photographer! Thanks to the incredible wedding professionals who helped to bring it all together: Angelica McDonnell of Green Orchid Events, Shauna Lederman from Aliante Station, Todd Herod of Shutterbooth, DJ Tony of Pure Energy Productions, Enchanted Florist, and of course a big thanks to the bride and groom for sharing your special day with us! 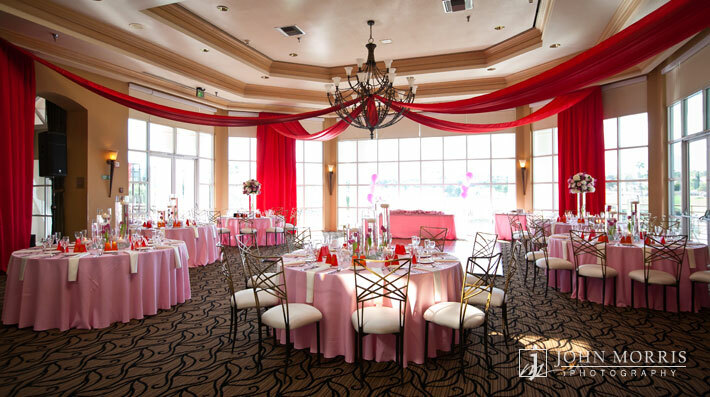 Recently John Morris Photography had the honor of photographing a Mother’s Day event at The Shade Tree hosted by the Community Outreach Committee of NACE Las Vegas. As a member of NACE and the committee, I was thrilled to be the photographer for the event and give back to the community. The Shade Tree is a non-profit organization that provides safe shelter to homeless and abused women and children in crisis and offers life-changing services promoting stability, dignity, and self-reliance. In celebration of Mother’s Day, the committee organized a cookie decorating event in which over 30 children participated. The kids spent the evening decorating cookies to surprise their moms and they all had a blast doing it. It was so much fun to photograph the event and see the children tap into their creative side. Special thanks to NACE members Staci Kirk, Toni Reiser, Cheryl Sgovio, and Board President Wendy Weisgerber, to the chefs at Caesars Entertainment for providing the delicious floral shaped confections, and to 1st Impressions Invitations for the custom designed greeting cards. See the rest of the photos on Facebook. To make a donation, please contact the organization’s coordinator Brandi Lopez at 702.385.0072 x 105. 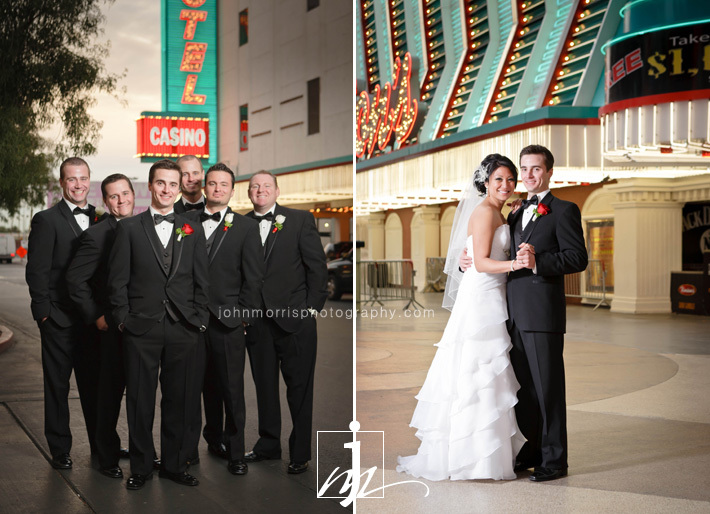 When you think of Las Vegas weddings, glitz, glamour and mega hotels may come to mind. 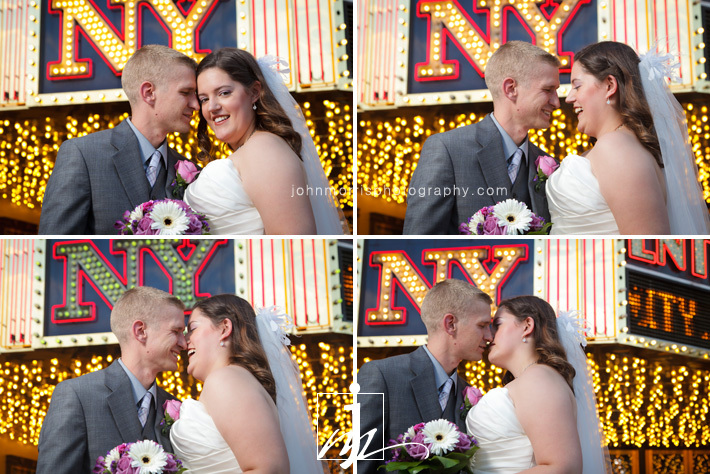 While weddings on the Las Vegas Strip are iconic to this city and a lot of fun to shoot from a photographer’s standpoint, there is more to Sin City than the famous chapels and celebrity weddings in billion-dollar hotels. Las Vegas is also home to a rich and diverse religious community. Just north of the glitter and glam that are the hallmarks of downtown and the Strip, you’ll find the jewel of Las Vegas’ Mormon community — a Mormon Temple where many faithful couples tie the knot each year. The Las Vegas LDS Temple is a towering building that sits on the slopes of the mountains bordering the east side of the city overlooking the valley. As a photographer, I love to shoot weddings at the Mormon Temple here in Las Vegas simply for the fact that they are different than what most people are used to. It’s a beautiful location with unique architecture, flourishing flowers and trees that adorn the temple grounds. Mormon ceremonies are very private and spiritual affairs with only a few close family members in attendance of the actual ceremony. They are focused on family, community, and commitment to a higher faith. Photography within the temple is forbidden in order to protect the sanctity of the union. 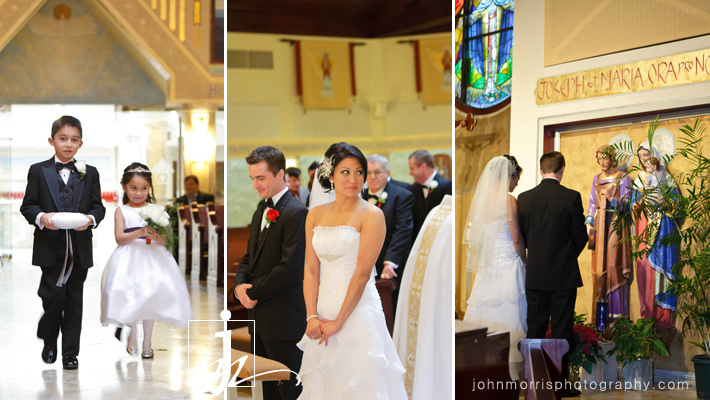 However, there is a lot of excitement as guests waits outside in anticipation of the bride and groom’s grand entrance. This is also a great opportunity to capture some fun candids and family photos. As the ceremony draws to a close, we will wait outside the temple doors along with other guests to capture the bride and groom as they exit the temple as newlyweds. From there, we typically spend a few moments alone with the bride and groom creating some beautiful, well-lit photos around the temple grounds. If you are planning a Las Vegas Temple wedding, keep in mind that timing is one important factor to making great photographs. You’ll want to make sure there is enough daylight after the ceremony for bridals and couple photos. Although Mormon weddings are considered sacred and marriages are taken very seriously, the couples we have worked with and their families are nothing short of fun. It is always a pleasure to be a part of such an important event in someone’s life. We feel honored when couples choose us to be a part of their wedding day and even more so when they tell us how much they love their photos. We hope to continue serving couples in this community and creating more amazing memories for our future clients. If you follow our blog, you might remember our engagement shoot with Venice and Marc last year. We had a blast shooting their engagement session, so photographing their wedding felt perfectly natural. One of the greatest things about engagement sessions is the opportunity to work together and become acquainted before the wedding. Venice and Marc loved their engagement photos so much, they felt completely at ease and confident in our ability to capture their wedding. It was an absolute joy working with them both again. After months of planning, their big day played out beautifully. 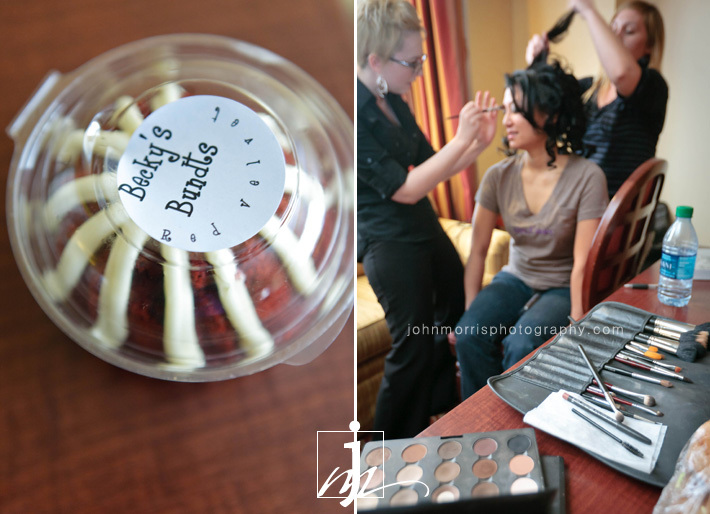 We arrived at the bride’s room early to capture some getting ready shots. Besides a few nerves from all the excitement and anticipation, Venice was quite calm and relaxed. 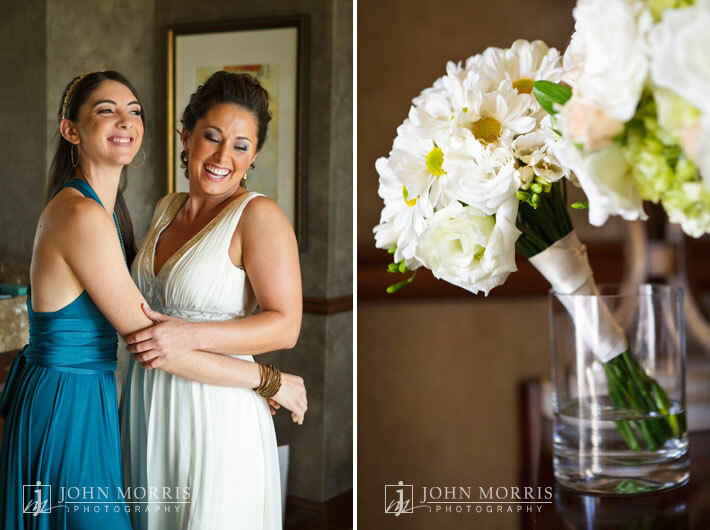 Every bride’s reaction on her big day is different, and oftentimes brides are surprised by their own reactions. Some brides who aren’t usually emotional have claimed that they never cry, only to find themselves tearing up at the altar, much to their surprise. These are the moments we try to capture as unobtrusively as possible – the real and unexpected moments that occur at every event. 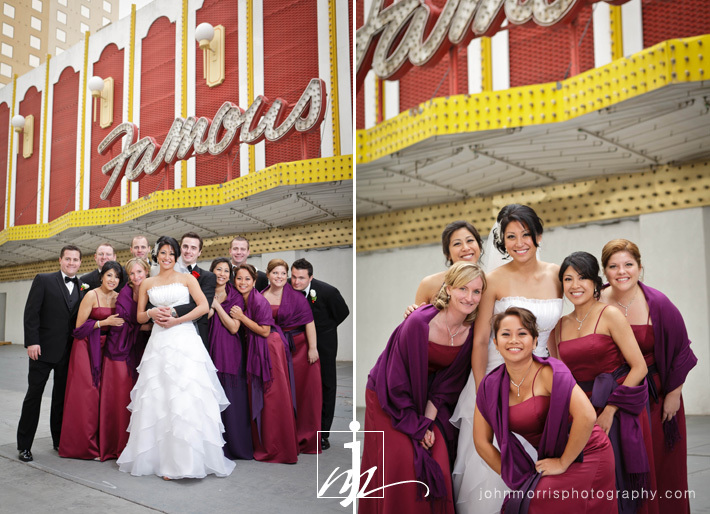 After a beautiful Catholic ceremony at Our Lady of Las Vegas Church, we took a limo downtown for some fun photos with the bridal party. The bridesmaids and groomsman seemed to be having far too much fun! After about an hour of shooting, we all got back in the limo and headed to the reception for a fantastic party. Lots of great food and dancing – a perfect way to end the night. To Venice, Marc, and your families, thank you for sharing your day with us. We’re so glad you love the photos!